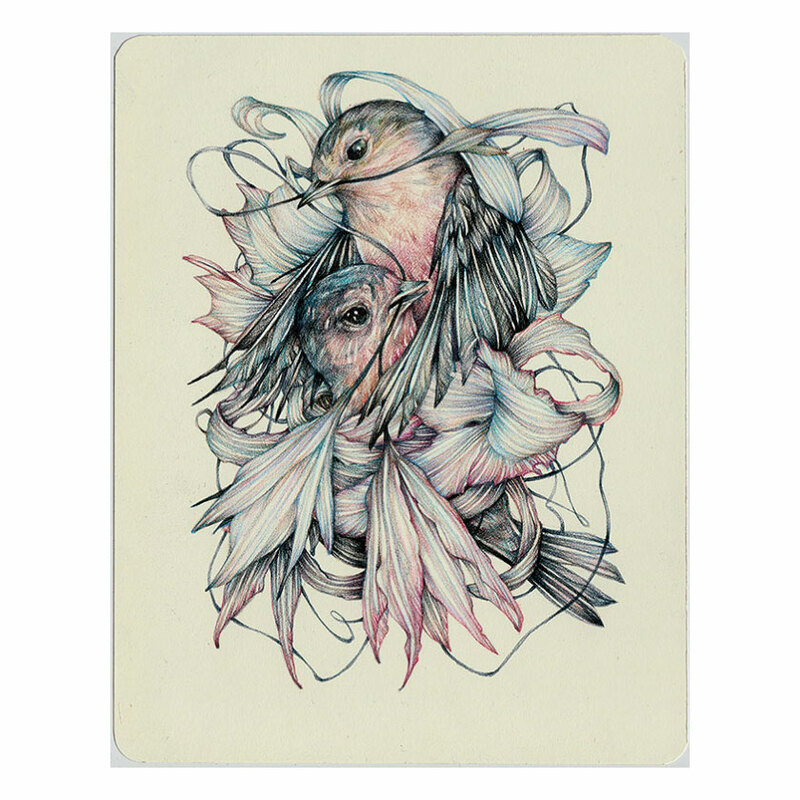 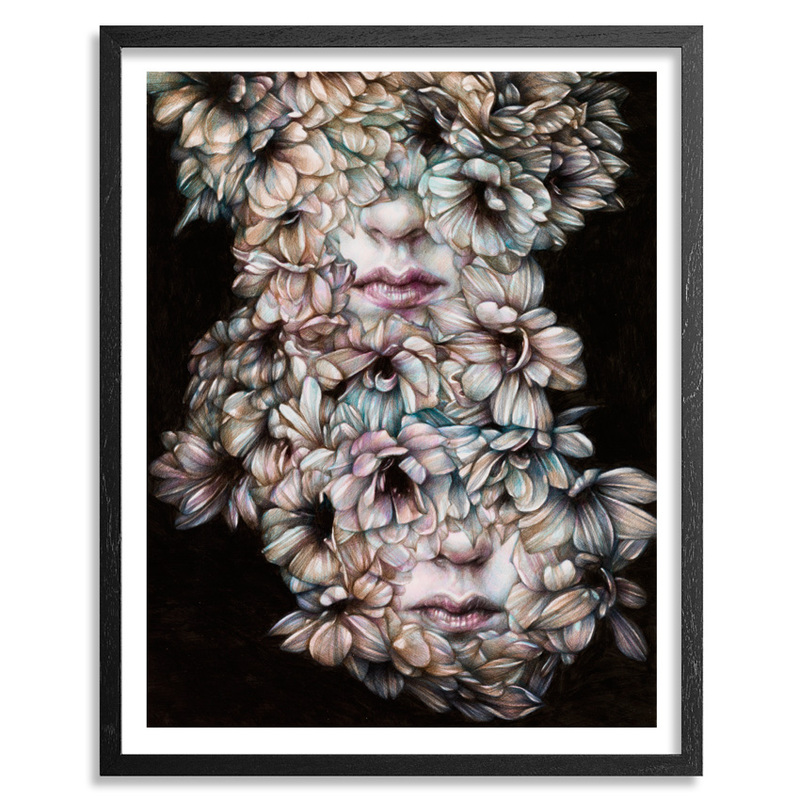 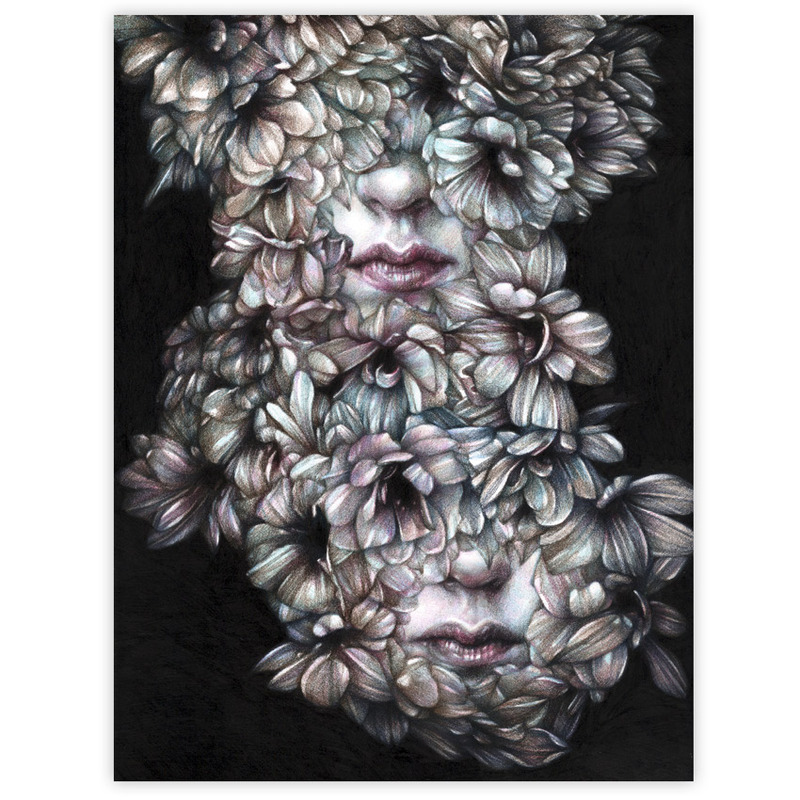 Marco Mazzoni is based in Milan, Italy where he works from his studio creating amazingly detailed color pencil drawings that have captured the attention of collectors from all over the world. 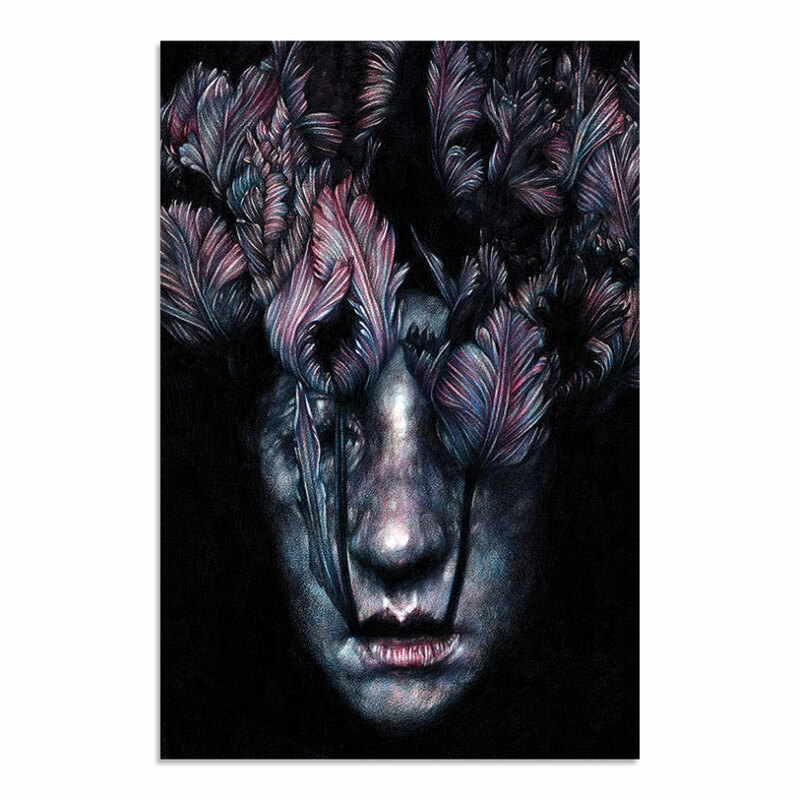 Mazzoni weaves a world based on Italian folklore of mystical women who seduce, bewitch, curse and cure. 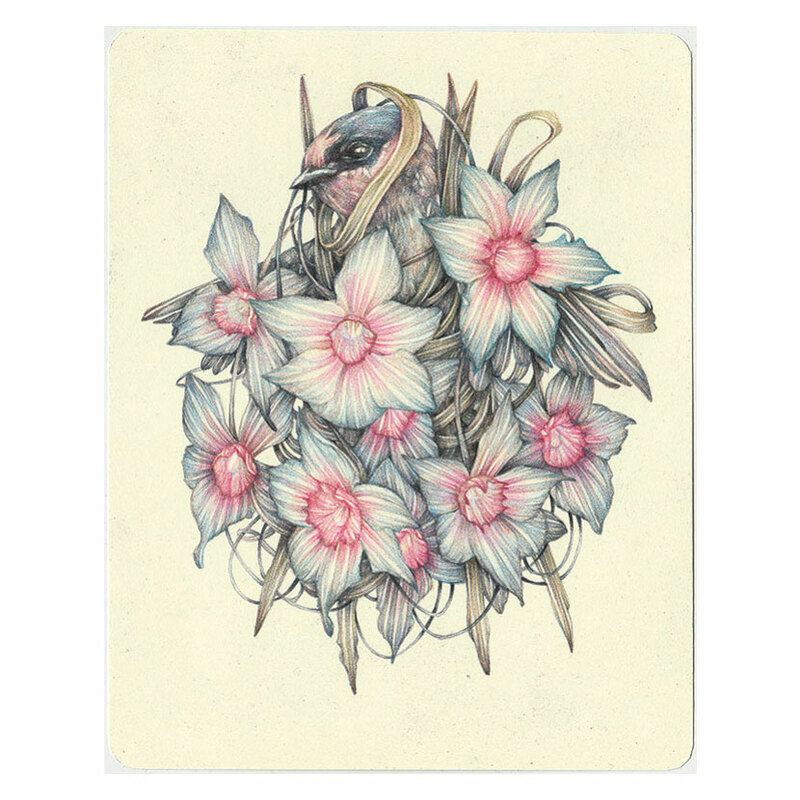 His work is a homage to the hidden craft and history of healing women and every drawing is infused with metaphors that tell their story. 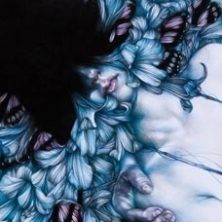 From flora and foliage that is either curative or hypnotic, butterflies and birds that drink the energising and nourishing nectar to the circular compositions alluding to the cyclical nature of life and finally the semi - hidden faces hinting at the enforced obscurity of women obliged by prevailing religious beliefs to conceal their knowledge, power and practice.